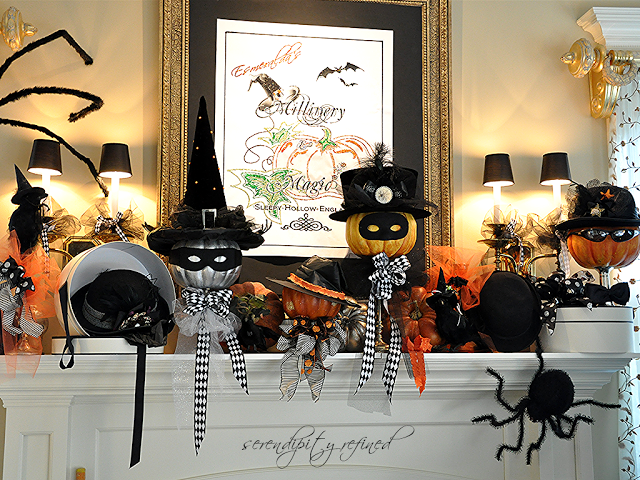 My name is Jeanette and I have a problem...... Ok, 2 problems - I'm addicted to Pinterest and Halloween! I guess in the scheme of things, there are certainly worse problems to have, maybe not according to my hubby, but I'm sure there have to be! 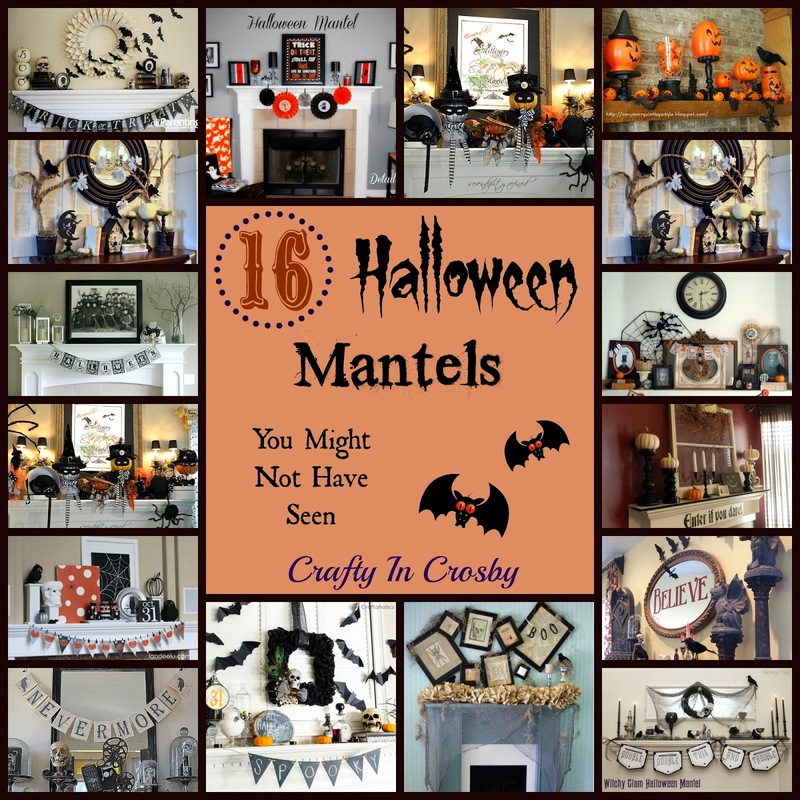 Since we started blogging in 2012, I've also become obsessed with decorating our mantel and thought I would share 16 Halloween Mantels that I really adore. The source for each mantel is listed above each photo and each photo also links to the source. I love the masked pumpkins by Serendipity Refined. Such an elegant mantel with the black and silver touches. 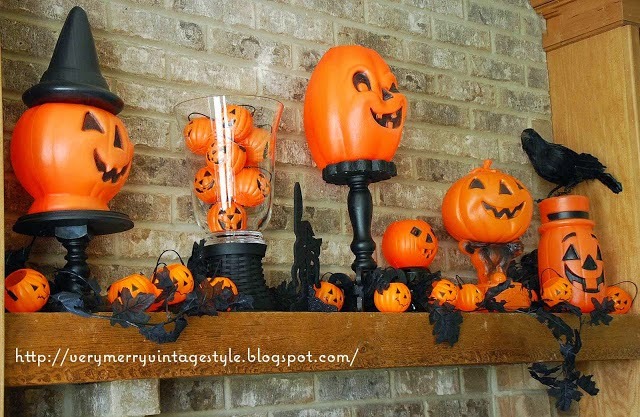 Check out all of the vintage pumpkins used by Very Merry Vintage Style These are the pumpkins of my childhood and bring back lots of fond memories. 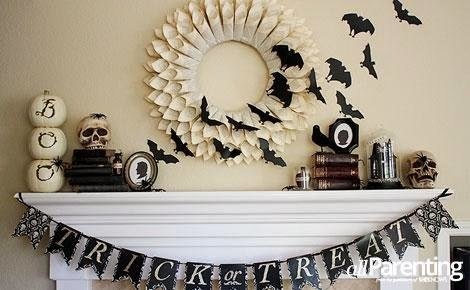 Paper bats and a book page wreath were used by All Parenting to decorate their spooky mantel. 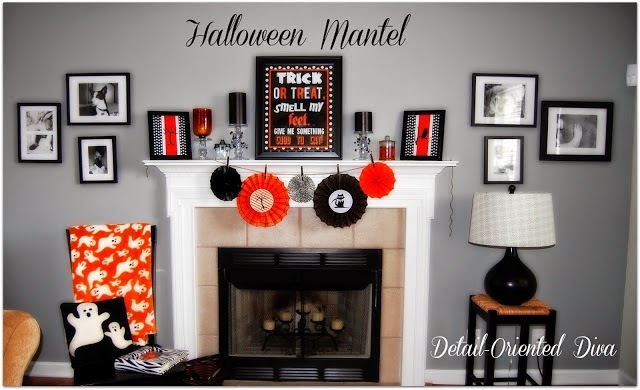 The Detail-Oriented Diva used classic orange and black paper fans on her cute mantel. 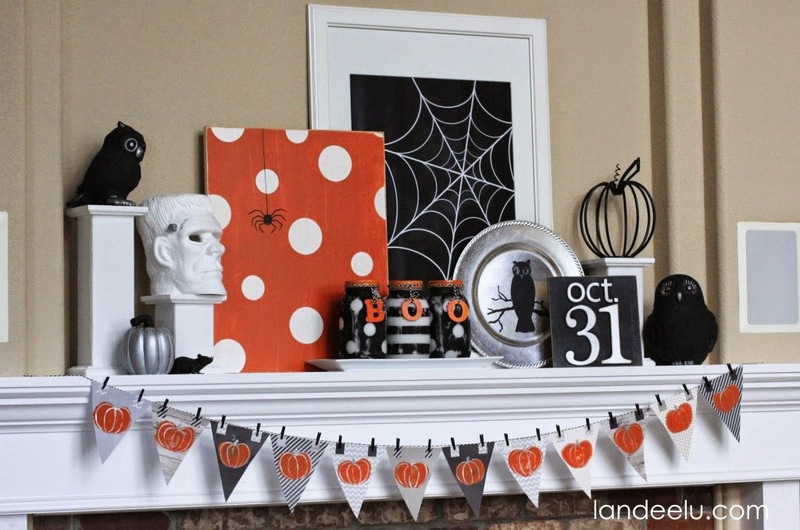 Love, love, love the white pumpkins and the Enter if you Dare vinyl used by Organize Your Stuff Now. 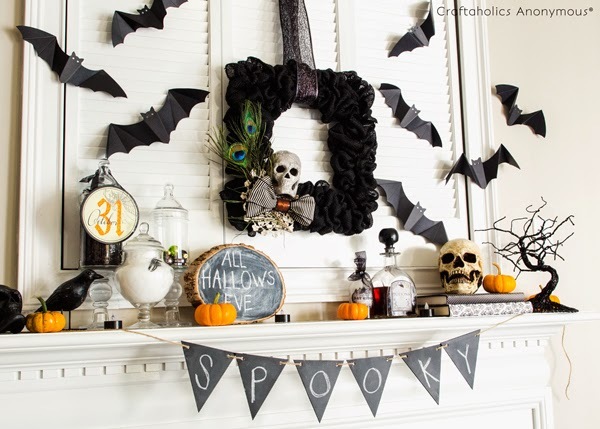 A burlap wreath, chalkboard banner and paper bats completes Craftaholics Anonymous' look. I saw this Frankenstein head at Michaels just last month, and then I saw how Landeelu used it. Love that she only highlighted it with silver and left the rest of it white. And those square columns are just fabulous! 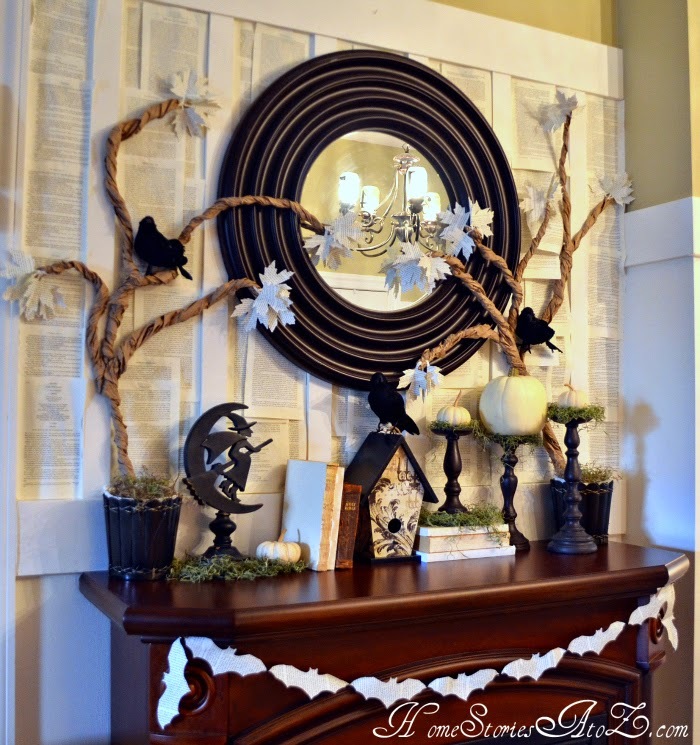 Home Stories A to Z's combination of rolled paper trees, white and black accents and book page wall just makes me drool! And who would have thought of white bats? They just pop off her wood mantel. 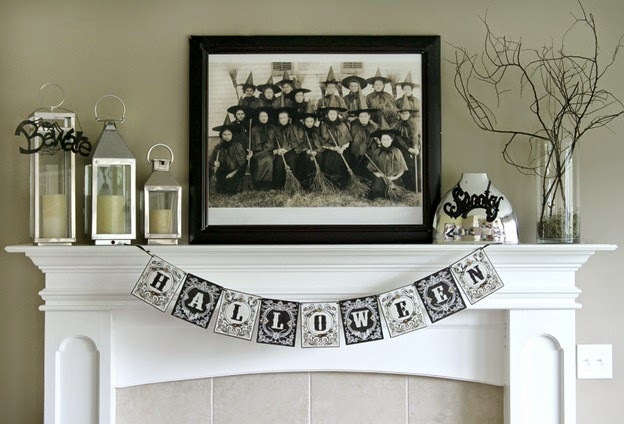 A Witchy class photo and black and white banner by Just A Girl have an awesome vintage vibe. Love this Nevermore book page banner by Rook No. 17 and we have the perfect spot for one over our Nevermore display. Here's another classic banner by Starshine Chic. 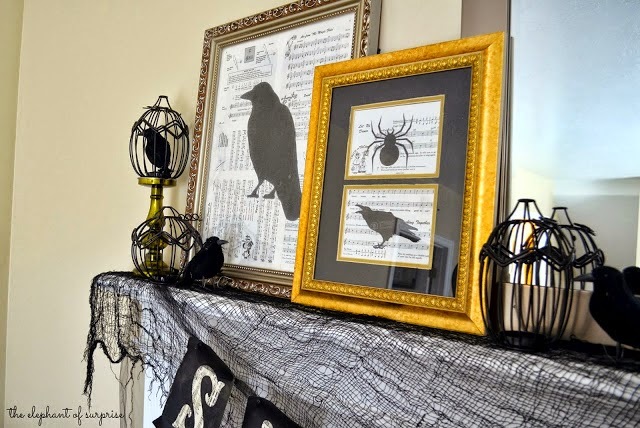 Flamingo Toes decorated her mantel with black tapers, ravens and a Shakespearian phrase for her black and white display. 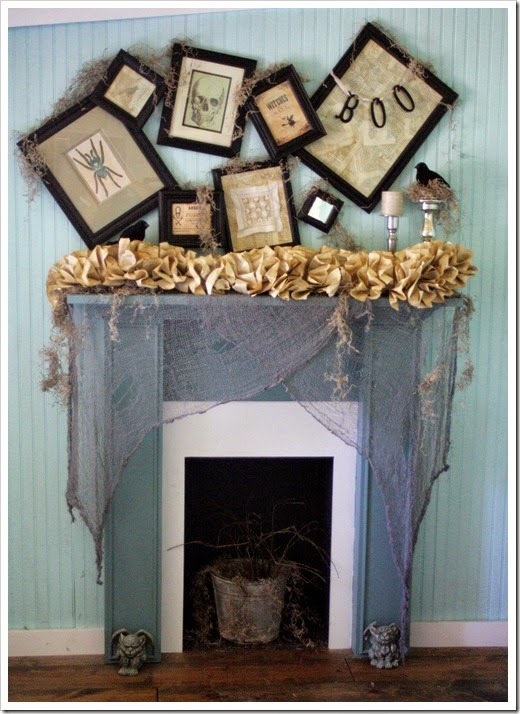 Crooked frames and a book page garland complete Shabby Creek Cottage's mantel. Love how the black frames pop off her blue wall color. 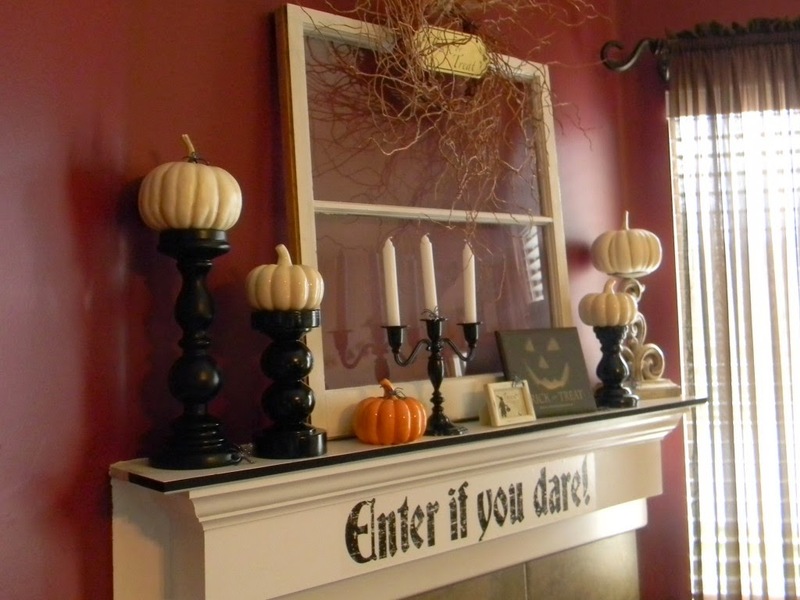 Another beautiful black and white mantel by The Elephant of Surprise rounds out our selection. 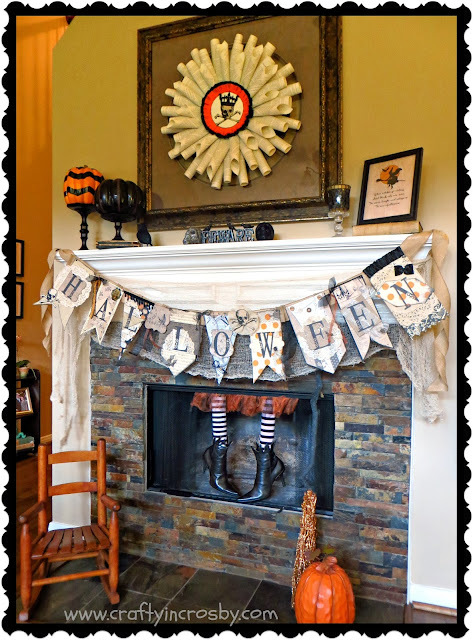 I hope that one of these spooktacular images will get your creative juices flowing and inspire you to decorate your mantel for our favorite holiday. 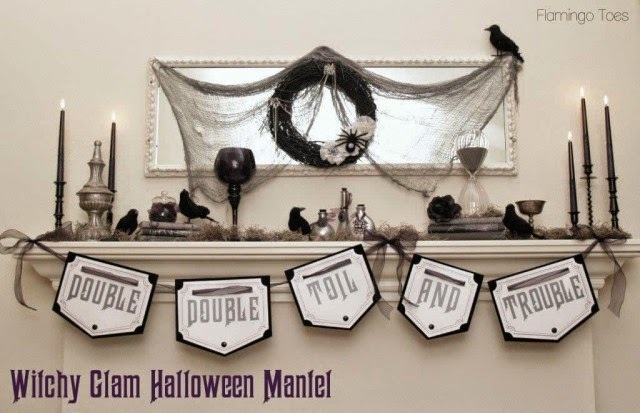 Have you decorated your mantel yet? Leave us a link, we would love to see your creation! Just 37 more days until Halloween!! Yippee! I LOVE this collection! I don't really decorate my mantel unless it's for Christmas but I think I've been inspired:) Thanks for sharing! This is the first time stopping by your blog, I found in a linky. All the mantels are decorated so cute!!!! Great inspiration! Mine is a work in progress, not sure I'm quite happy with it. You can see it here, although it might yet change!